As we wrote this story, Marc Benioff, the Chairman and CEO of Salesforce tweeted that the company has delivered more than US$3 billion in revenue in the first quarter, surpassing a $12 billion annual revenue run rate. “Our relentless focus on customer success is yielding incredible results, including delivering nearly two billion AI predictions per day with Einstein,” tweeted Marc. As a company, Salesforce increased its market share in 2017 by more percentage points than the rest of the top twenty CRM vendors combined. The company also tops the charts in sales applications, customer service applications and marketing applications. As they say, millennials have fully taken control of the way companies treat their customers and provide an experience. As a result of it a lot has gone into the CRM that existed a decade or so ago. Companies have realised that only an exceptional “customer experience” can provide the business its required growth and longevity. For being able to be intuitive and be able to predict the customers’ needs, technology is the only resolute way to define the undefinable. One such tech blessing is Artificial Intelligence/Machine Learning. According to IDC, AI alone will give the CRM market a USD 1 Trillion boost in the next few years. It also forecasts that most enterprises will take to AI-driven CRM to improve business process and thus the end results. 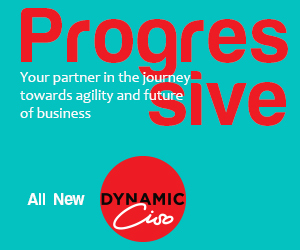 DynamicCIO (DC): Customer Experience (CX) is the new pivot. Every technology investment in a company hovers around creating a better customer experience. What’s the Salesforce advantage and how it works? 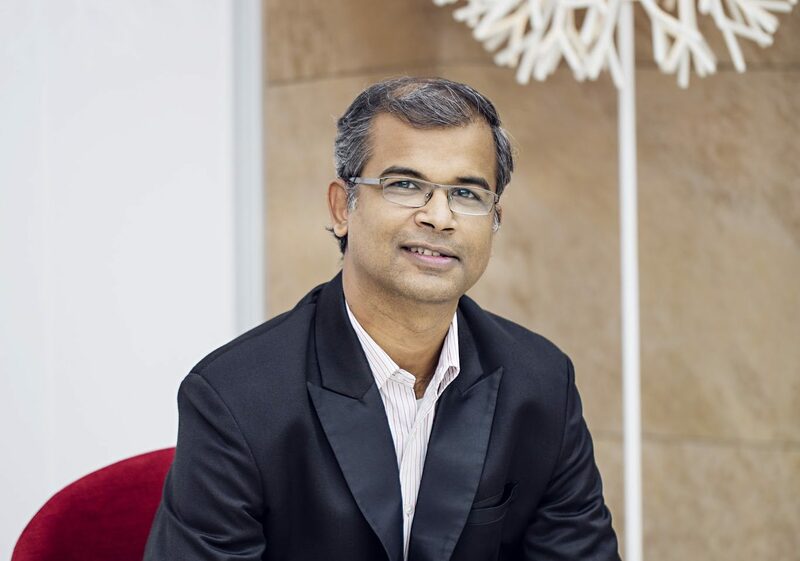 Kalki Yasas (KY): From Salesforce’s perspective, we’ve always had the customer at the centre of everything. A lot of our innovations are ones that customers expected from us. We look at creating success for our customers with their customers. How we manage our customer relationship is what we expect to see our customers to do for theirs’. We call that ‘Salesforce Ohana’ – it includes our partners, customers, employees and the communities. It is a deep-seated support ecosystem where there is collaboration, communication and nurturing. We carry forward a lot of cultural and value-based elements that we have, as a company, into the ecosystem. Then there is innovation – it is the space where we have been recognised as people who have emphasised customer experience as one of the critical components of our products. For 8 years in running we have been ranked as the most innovative company. Our innovations are driven with an aim of how can we improve the experience of the customer; how we can reach out to more customers and build better relationships. DC: Customer Relationship Management (CRM) is paving way for Customer Experience Management (CXM). It’s all about a lasting experience after all. How would you differentiate between the two? Is the shift real? KY: Key difference between CRM and CXM is that CRM is from an operational layer of engaging with customers, the shift has been to get it to be more analytics-driven. So, there are insights that the companies actually use for managing customer relationship. Customer experience is something that’s driving change in the way companies are leveraging technology in managing their relationships. Lot of the initial marketing activities were push-based. Now the consumers are very adamant about their expectations. They define who they should be treated. The relationships are being driven by ‘the asks’ from the customers, mostly millennials. This is the reason why most companies are now focussing on customer experience as the differentiator. That’s really been a shift. DC: How is Salesforce’s product line-up, including Sales Cloud, Service Cloud, Collaboration (Quip) and Integration Cloud, helping the organisations in achieving their goal of digital transformation? KY: We started out with traditional Sales Force Automation and Service as an offering. Eventually, we took market leadership in sales and that was followed by the market leadership in customer service. We have now established leadership in the marketing space as well. We cover all the key customer engagement channels. But beyond that the company also invested in building a platform that would extend to all areas of an enterprise. We looked at the needs of customers holistically – beyond just CRM – and repositioned ourselves as a platform organisation that companies can use to solve business challenges beyond just the CRM. The first in the lot was collaboration that is now facilitated through Quip. We were also the first ones to pioneer Chatter which is essentially our business collaboration tool. With Quip, we have now developed the capability to leverage conversations in the productivity space for business. Along with Quip, we also offer Communities, which allows us to bring in stakeholders beyond just customers – the employees and the partners. Quip is a productivity tool that is for documents, and collaborating on documents in time. But Communities is essentially the frontend engagement layer for a partner or an employee to reach out into their day-to-day workload. For Employee, for instance, from their on-boarding to their training, to payroll can be on the Communities. More recently, we have the Integration Cloud to build an ecosystem that allows Salesforce data to coexist and work with data from third-party systems internally within a customer’s enterprise. This happened because of our investment in MuleSoft. So, we now got a layer that extends access to Salesforce data to the third-party systems and allows us to bring critical information that exists in those systems. We can use those in the workflows that are part of the customer engagement layer. This gives any sales rep a 360-view of customer transaction and interaction and a faster turnaround too. DC: Why did Salesforce move into offering a platform solution to its customers? KY:The shift in the space happened long before we actually decided to give our platform in the hands of our customers. One of the largest ecosystems for business apps actually exists on our platform. The App Exchange that we have is place where our ISV partners innovate on the platform. Earlier, we had the typical CRM use cases covered through our sales services and marketing apps, and there were smaller use cases specific to the industry, specific to the functions of a company that ISVs built apps and point solutions for. We had a huge number of apps on App Exchange, which was nothing but an extension of the platform. It made logical sense to look at the platform capabilities and extend that to customers and SI partners who could build solutions customised for a specific company or an industry. DC: How does Lightning and Lightning Boost help in improving customer productivity? KY: Mark Benioff, the CEO of Salesforce, had a vision that our product should be as easy to use as shopping on Amazon.com. Why should it be difficult to use a business app? End user experience should be seamless. Even in early days we had our apps mobile-ready to provide a superior user experience. Lightning and Lightning Boost is taking this to the next level. How people use the web-based apps has changed significantly. Today, a lot of it depends on the ‘moments-in-time’ kind of operations. There are things that can be performed while people are on the go. Lightning is a framework, which addresses the next-generation of customer experience needs from the standpoint of apps. One, it allows us to create scalable applications that can be accessed anytime on any device. Two, it changes the way companies actually have taken the time to deploy apps. We have componentised a lot of the aspects within the platform that makes it reusable and can cover a wide range of use cases. The ability of a company to identify a problem whether that is a go-to-market problem or an internal use-case, and to build an app that provides a solution to that accelerates quite a bit through Lightening framework. Lightning Boost is our productivity offering to get that in place. DC: How is AI, especially Salesforce Einstein, driving your innovations? KY: With Einstein – our AI platform – we are gradually extending the cognitive capabilities across the platform. We have Einstein working at our CRM layer. It helps get insights in the sales, service and marketing domains. We have also extended AI in the platform space to allow companies to analyse the extent of ROI they can have on applications built on our platform. Lot of these companies use this intelligence to decide what is the current utilisation of their apps, which of the apps should be retired and which are needed for employees regularly. DC: Salesforce is now talking about Augmented Intelligence. How will you differentiate between Augmented Intelligence and Artificial intelligence? KY: The engine that drives Augmented Intelligence is the same AI. But we talk of Augmented Intelligence we are talking of using information gathered based on AI to drive the processes. That way, you are augmenting what you would do in your workplace, in your normal interactions with your customers, with partners and with employees. Here you are leveraging the intelligence driven by AI platforms like Einstein and then go for more productive, efficient ways of achieving the business and process goals. Einstein is our AI platform, but what Einstein does in conjunction with our Sales Cloud or Service Cloud and Marketing Cloud is where Augmented Intelligence really fits in. One part is number crunching, analyses of patterns, looking at character recognition or data and NLP. But translating that into something that is embedded in your business process at the exact moment where or when it will be required is Augmented Intelligence. For instance, when a sales person takes the data on sales projection and lead projection, Augmented Intelligence gives him the capability to know which leads have higher percentage of closure.